Samsung Galaxy J7 Prime 2 is now official in India, without any further launch indication. The differences with the first generation are not particularly shocking: perhaps the most striking feature is the new graphics of the capacitive buttons on the device below the screen, which reflects that of the Nav Bar touch adopted by Galaxy S8. 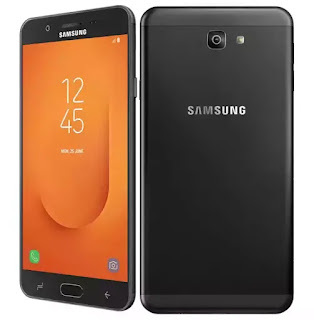 On the technical side, Samsung Galaxy J7 Prime 2 features a 5.5-inch 2.5D Corning Gorilla Glass display with 1080p resolution and is powered by a 1.6GHz Octa-Core processor. It has a 13MP rear camera with LED flash and a 13MP front-facing camera for selfie. It packs 32GB of storage compared to 16GB in the predecessor, runs Android 7.1.1 Nougat OS and comes with a front fingerprint sensor. Samsung Galaxy J7 Prime 2 also supports Samsung Pay Mini in areas where the service is active. It also has Samsung Mall app that offers Visual search just by clicking an image of the product using machine learning. Samsung Galaxy J7 Prime 2 price in India is Rs. 13,990 and will be available in Black and Gold color options.